Breathing in Grace: Owlie Shoes! Isn't it amazing how popular owls have become? If I liked flip flops....which I don't....I'd want these....love the whimsical owlies!!! Now....these are more my style!!! And, I really like these. They are Rocket Dogs. I have a pair I found at a yard sale and they are sooooo comfy....but don't have owlies on them!!! I really like the teal/blue color! Another pair of painted Tom's. I'm going to be on the lookout at yard sales and thrift stores for some canvas shoes I can paint on!!! Converse even got into the owl groove!!! 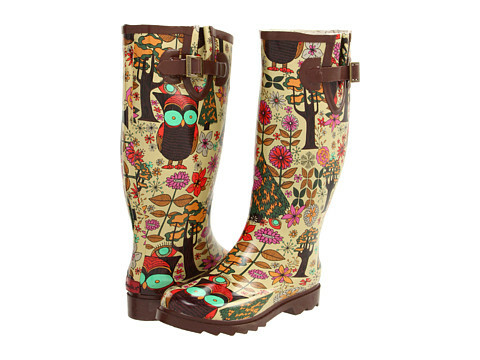 But....these are my faves.....owlie rain boots!!! Whooooooo would expect owls on all of those lovely things!